After becoming the youngest ever chairman of the Scottish Labour Party in 1981, George Galloway became General Secretary of the London-based charity War on Want in 1983, remaining in the post until he was elected as a Labour MP for Glasgow Hillhead at the 1987 general election. From 1997, Galloway represented its successor constituency Glasgow Kelvin, and remained as the MP for the seat until the 2005 general election. In October 2003, Galloway was expelled from Labour, having been found guilty by the party's national constitutional committee of four of the five charges of bringing the party into disrepute. Although a number of Labour MPs opposed the Iraq War, Galloway was the only one to be expelled from the party for his statements concerning the conflict. He was also accused in 2003 of calling on Arabs to fight British troops, one of the reasons given for his expulsion. In 2004, he became a member of Respect – The Unity Coalition, later known as the Respect Party, eventually becoming its leader by late 2013), and was elected as MP for Bethnal Green and Bow at the general election the following year. 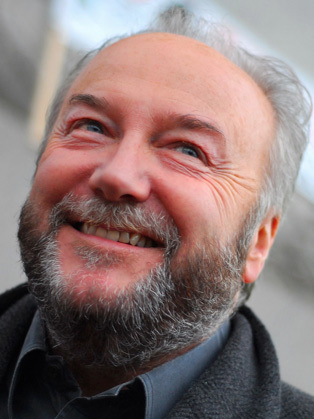 Galloway stood for election, as a Respect Party candidate in the London Assembly election, 2008, was not selected. He was defeated at the 2015 general election, after a campaign in which he was accused of making false statements about the Labour candidate, Naz Shah, and was reported to the police for allegedly breaking election law. During the general election campaign, Galloway announced that if he lost Bradford West, he would stand in the election for London Mayor in 2016. In the 2016 EU membership referendum, he backed the Grassroots Out campaign, which advocated a "Leave" vote. A long-standing associate, Galloway has supported Labour leader Jeremy Corbyn since Corbyn's election in September 2015. The Respect Party "voluntarily deregistered" itself at the Electoral Commission in August 2016.